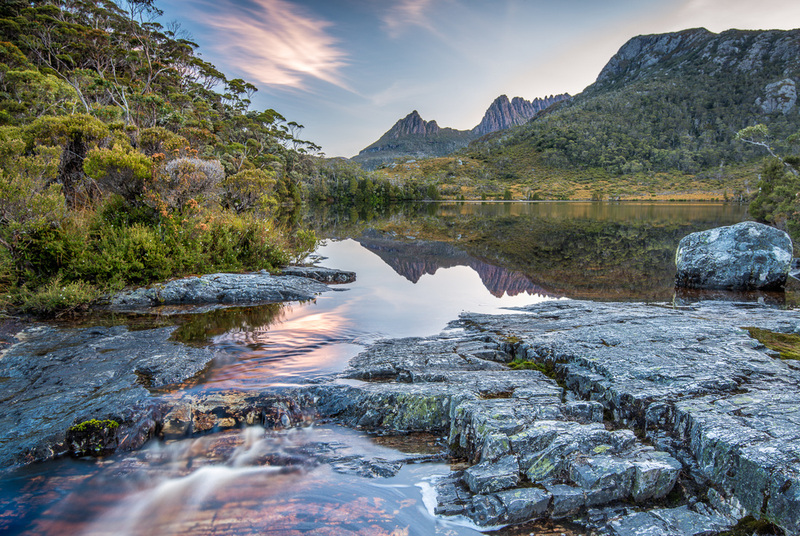 This tranquil spot is lake Lilla within the Cradle Mountain National Park. After searching for a good place for a sunset shot within Cradle mountain, I found this magic spot I was lucky the wind had died off which turned the lake into a mirror. The reflection captures cradle mountain which is the sharp and jagged peak in the middle.